UNHCR in conjuction with UNOCHA are requesting for more financial aid in supporting the South Sudaneese refugees. 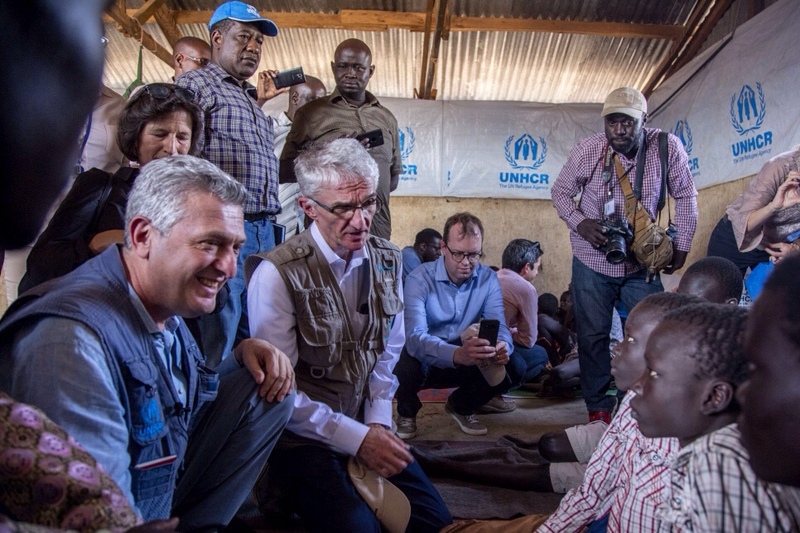 United Nations High Commissioner for Refugees, Filippo Grandi, and the Emergency Relief Coordinator, Mark Lowcock,on 1st February , 2018 launched a funding appeal for US$1.5 billion. Among the funds, US$ 1.5 billion is targeted to support the refugees fleeing the detaroriating state in South Sudan and US$ 1.7 billion is set to support this still in the country in the year , 2018. As the year begins, the Sudan war has reached its fifth year. It is feared that by the end of 2018, the war will exiled more refugees from 2.5 million refuges to 3 million refugees. Uganda is the highest refugee camp that has offered assylum to the South Sudanese refugees. Other countries being Kenya, Sudan, Ethiopia, the Democratic Republic of the Congo and Central African Republic. Majority of the refugees are comprised by women and children with almost 65% of them being the youth. The women have been sexually harassed, after their husbands killed and children abducted. The country is fast fading as the people who would be developing the economy are either in war or refugees in a foreign country dependent on aid. Regardless of all this misgivings, the funding in support of South Sudan refugee crisis has been extremely low to a point of about 33% of what was required during 2017 yet the number of refugees keeps soaring at distressing rates. The refugees are people like you and me just in a different circumstance. They require their basic needs catered for them in order to sustain life. They live in abject poverty and maximum insecurity . Rights to enjoy the much needed basic human needs is rare to almost 7 million people, including the two million who are still internally displaced in their home country. Inadequate food guarantees high malnutrition cases not only to children but also adults. Proper shelter is a problem and healthcare remains a challenge . Quality education is still a challenge. The humanitarian response plan 2017 funding enabled to cater to 5.4 million refugees and still left a huge deficit of the other refugees that needed to be covered. Despite the war going on in the Sudan, the world is still working to fight for peace , justice and strong instituition. Extremes such as Sudan and other countries which are currently at war need to be addressed urgently. If we are ever going to achieve the World goal by 2030, we need not hold back in funds. We can’t claim to be working towards achieving the sustainable goals yet more than five goals are highly crippled by the crisis in Sudan. In order for the world to gain a sustainable state, countries, governments and the people need to work together. We need to work hand in hand and support each other for a more stable and long lasting result. Here is a video peek on what’s really happening in South Sudan . Co-Working spaces, the trending offices in town!